A Christmas tree topped with a red and white Santa hat is the main feature of this holiday paper. The traditional evergreen is decorated with stars and surrounded by colorful gifts and a bright green border, which is itself accented with ornate vines. 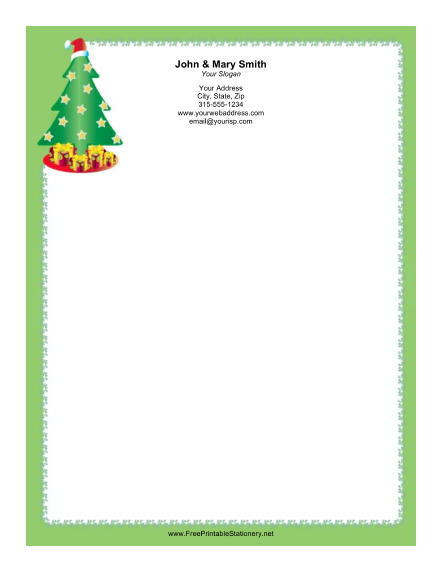 This particular Christmas border is an excellent choice for sending holiday greetings to relatives.